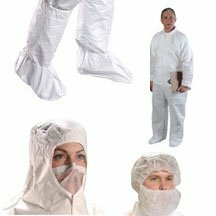 NETA Scientific provides a line of laboratory apparel and personal protection products to keep scientists and researchers safe from exposure to hazardous materials within the workspace. We supply a complete range of beard covers, boots/shoe covers, masks, personal monitors, disposable coats/jackets and more. Choose from several leading brands.